Over three weeks, ADR is exploring three distinct projects as published in MEZZANINE – the architectural repurposing of a masonic hall, an old timber mill, and 10 shipping containers – that show how mixed-use, experiential destinations can help connect local communities. Read part one on Devil’s Corner winery and lookout here. 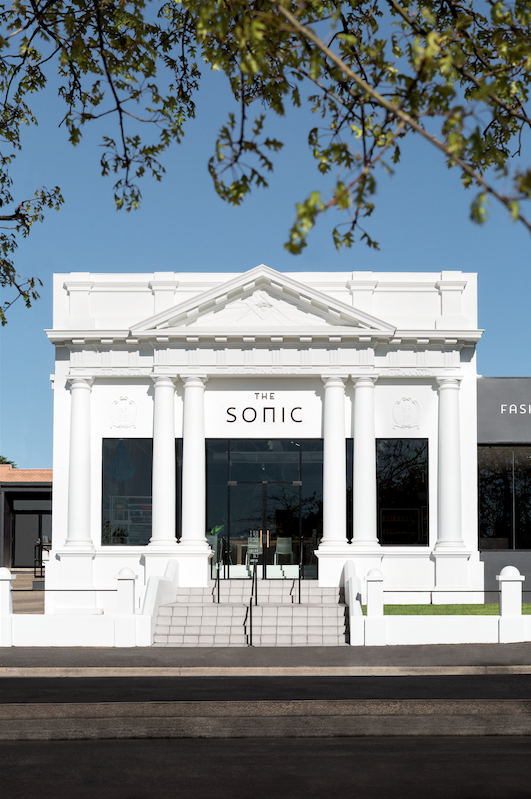 Home to a fashion boutique, homewares store and café, The Sonic is a clever adaptive reuse of a historic Masonic Hall that is creating a buzz in Orange, NSW. The building dates back to 1864 and features classical Greek architectural features common in Masonic buildings. It has been put to many different uses over the years, and most recently had been used to manufacture and retail school uniforms. 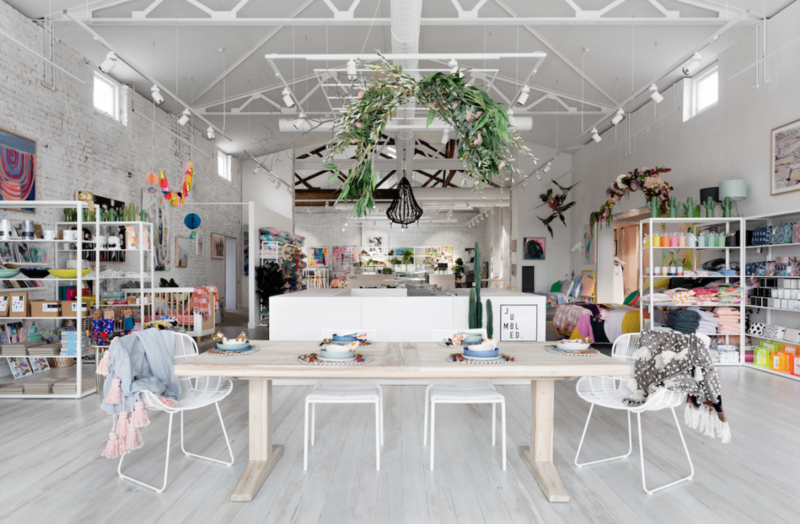 Felicity Slattery and Sarah Cosentino from architecture and design practice Studio Esteta were tasked with transforming the building into a retail and café space, with Iglou fashion boutique on one side, Jumbled homewares store in the main hall and Nimrod’s café located at the rear. The transformation of The Sonic from its original use by Freemasons, who did not accept women as members, into a retail and fashion centre owned and designed exclusively by women, makes this a great feminist story. But the building needed some work to make the transition. The first step for Studio Esteta was to restore the original grandeur of the building, including the original Greek em-boss on the front façade, which had been obscured. The next was to remove the commercial ceiling grids to reveal soaring ceiling heights, and plasterboard to reveal brickwork. Brickwork and other surfaces were limed, painted white or whitewashed to create uniformity throughout the space. Commercial-looking handrails, door hardware and fence were all removed, and replaced with minimal black steel accents. 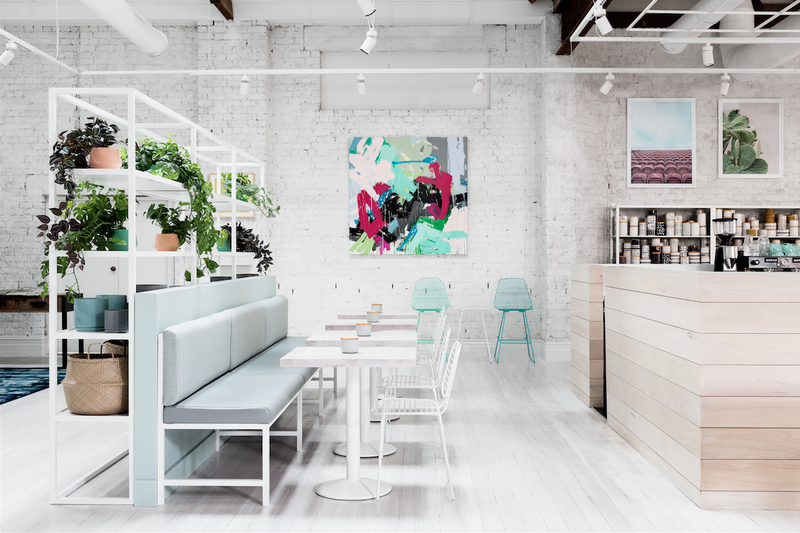 Onto this spare palette, each of the three businesses has added its own aesthetic. 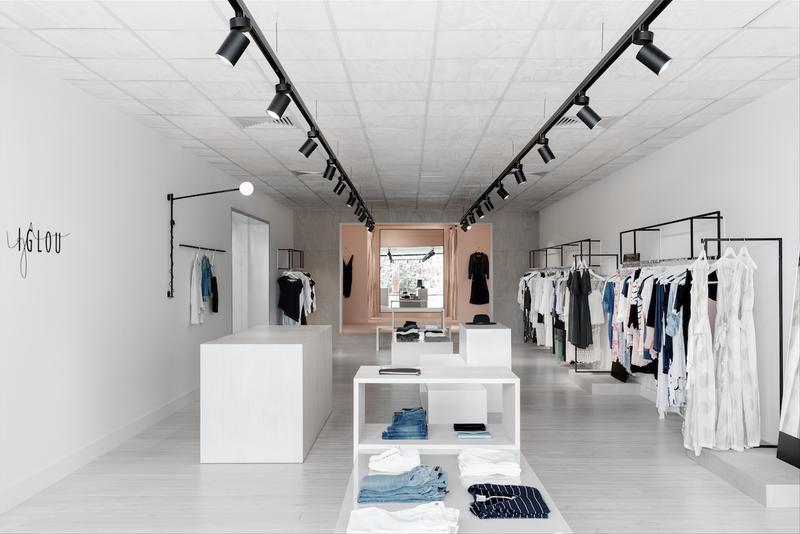 For example, Iglou features limed timber finishes and black hanging rails, with pink carpet and fabrics adding femininity in the change rooms. The reinvention of this distinctive building has created a destination and a sense of community for the city. “The project has been a talking point in Orange and surrounding towns,” says Felicity Slattery from Studio Esteta. This article originally appeared in MEZZANINE issue 6 – available now through newsstands and digitally through Zinio.